Cyril Ramaphosa would surely have picked more favourable circumstances in which to take office if given a choice. The President came to power in February amid economic struggles and political unrest, as corruption allegations dogged the nation’s politics. The economic doom and gloom has hung around South Africa for some time, coming to a head in 2017 with unemployment high, growth stagnant and credit ratings entertaining the much-feared ‘junk’ status for the country. It’s hardly surprising that this was fertile ground for political unrest and then change, as the era of Jacob Zuma finally came to an end. But, does this legacy mean there is irreparable damage for the market and, therefore, Ramaphosa’s chances? While it’s still early days for the new President, the initial signs are good. Indeed, the sense of optimism and confidence in the country is being dubbed ‘Ramaphoria’ in some circles. Recent figures from the World Bank suggest that this sense of optimism can bring tangible benefits. The World Bank has now raised its forecasts for the country for 2018, predicting growth of 1.4% (up from 1.1%). Credit rating agency Moody’s has also decided against a downgrade, choosing to keep the country’s Baa3 status with a stable outlook. The devastation of a downgrade could have been massive – and a big blow for Ramaphosa – with expulsion from the Citi world government bond index. Those with a keen eye on forex investing will note that the good news has spread to the Rand too, with growth by as much as 12% since the African National Congress conference. 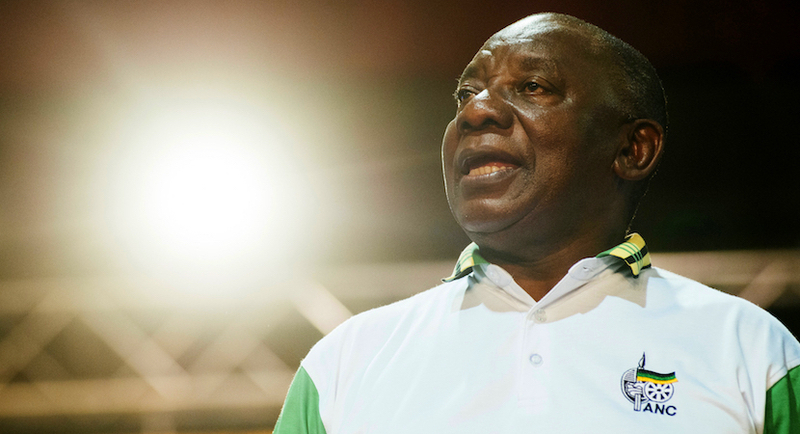 Fears of a US-China trade war did raise the prospect of reversing the Ramaphosa bounce, but a recent Reuters poll of strategists predicted that the Rand should retain most of its early 2018 growth in the coming 12 months. These are all the early signs of a recovery which, as discussed, add substance to the general feelgood factor. There’s clearly a long way to go. Mills Soko director of UCT Graduate School of Business summed up the situation best in a piece for The Daily Maverick. Political unrest has undoubtedly caused issues with the markets. However, there are good signs that the fresh start under a new President will bear fruit for South African going forward. Chloe Marchbank is an enthusiastic freelance writer, currently working for various businesses across a variety of sectors. As a recent English graduate from Nottingham Trent University, she is passionate about gaining experience and making a name for herself.